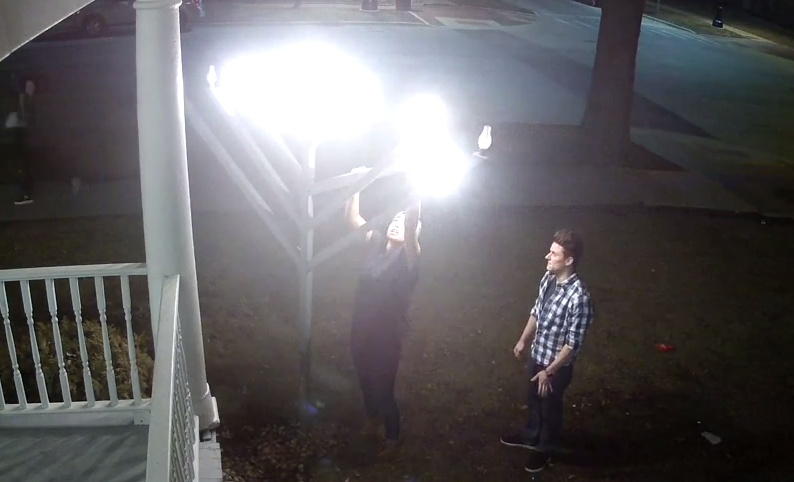 Screenshot from security video taken at the Illini Chabad Center for Jewish Life shows Ruby Fernandez-Rivera breaking one of the arms of an outdoor menorah on Feb. 7th, while a second person watches..
A University of Illinois softball player has entered an agreement that could keep a conviction off her record for damaging a menorah at a campus Jewish center. Ruby Fernandez-Rivera has been admitted to the Second Chance Felony Diversion Program operated by the Champaign County State’s Attorney’s office. The News-Gazette reports that if Fernandez-Rivera successfully completes agreement terms she can plead guilty to a misdemeanor. The conviction wouldn't appear on her record. The 21-year-old previously was charged with a felony. Fernandez-Rivera was charged after surveillance video at the Chabad Center for Jewish Life near campus showed a woman breaking an arm off the menorah February 7. She was suspended from the softball team last month, but has since been reinstated. Under the agreement that Fernandez-Rivera signed last week she must do 25 hours of public service, use no alcohol or drugs and write the center a letter of apology. 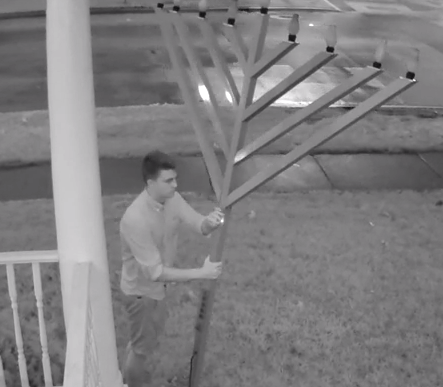 The damage done to the menorah last month marked the third act of vandalism against it since the start of 2015. 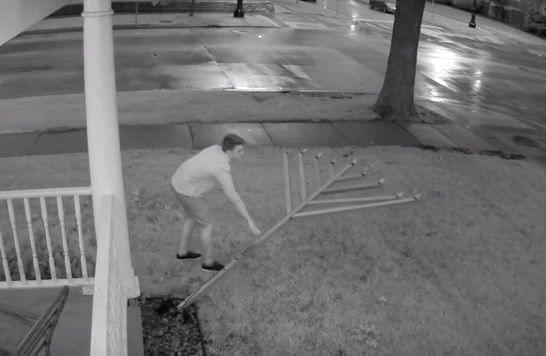 The menorah was previously vandalized last August, when surveillance video recorded a man knocking it down at night. Twenty-one-year-old Max Kristy of Champaign is currently serving a year of court supervision under terms similar to those that Fernandez-Rivera has agreed to.